Amazingly powerful Gaming computer for the price! 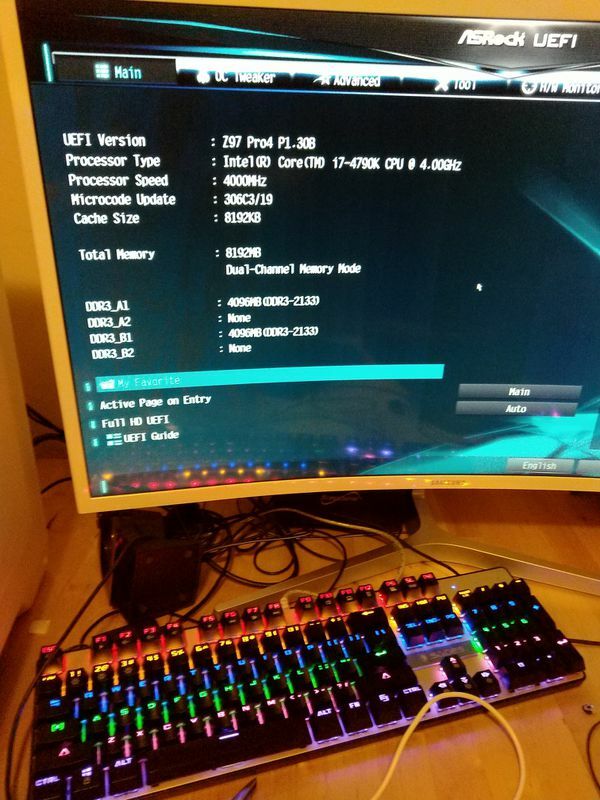 (Just the PC), Demolishes games like Fortnite and Apex legends with easy high settings 60fps! Send questions my way! Specs: A STEAL AT THIS PRICE! I will clean the computer completely and post new pictures soon, don't have much time on my hands right now, and yes I know it's a mess, but it's nothing I can't make look brand new! Ill do it as soon as I have free time for it. 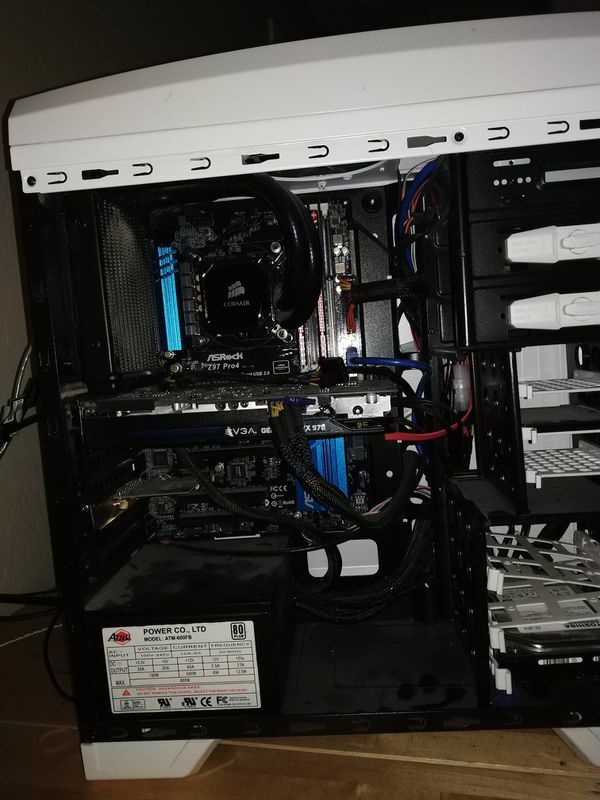 (Shipping needs to be done through PayPal since the offerup shipping label doesn't have enough weight to cover this computer and it's required packing. Will trade for a GAMING LAPTOP! 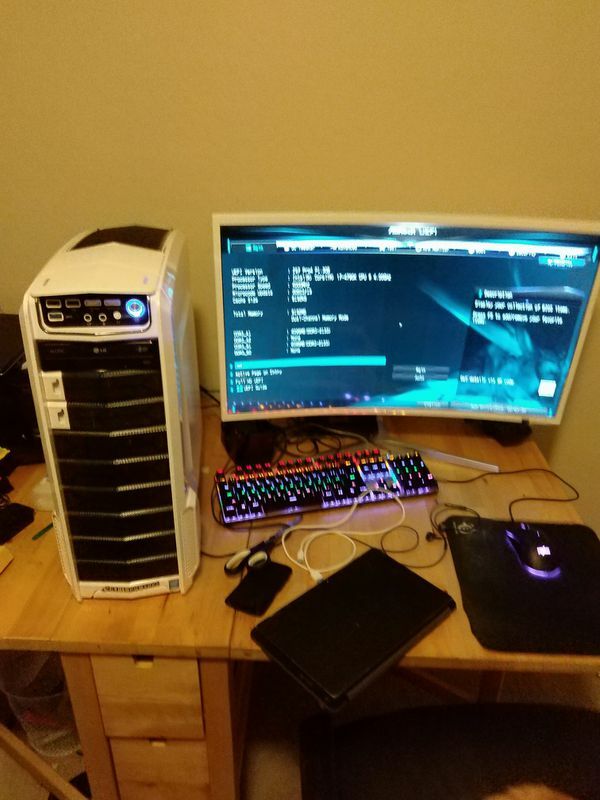 Just the PC for 500, the whole setup is 200$ more, includes my mechanical keyboard, decent esports mouse, and my 32" curved Samsung monitor.